Mastiha - a unique resinous substance is secreted from the trunk and branches of the mastiha tree, flourishing in a unique place on the planet - Mastihohoria, of Chios island. Once it solidifies, it acquires a crystallic form and a special aroma that makes it unique. It can also be consumed as a chewing gum. It has been scientifically proven that mastiha has an antimicrobial, antioxidant and anti-inflammatory action, it contributes to oral hygiene, skin regeneration and it relieves stomach disorders and diseases of the digestive system. 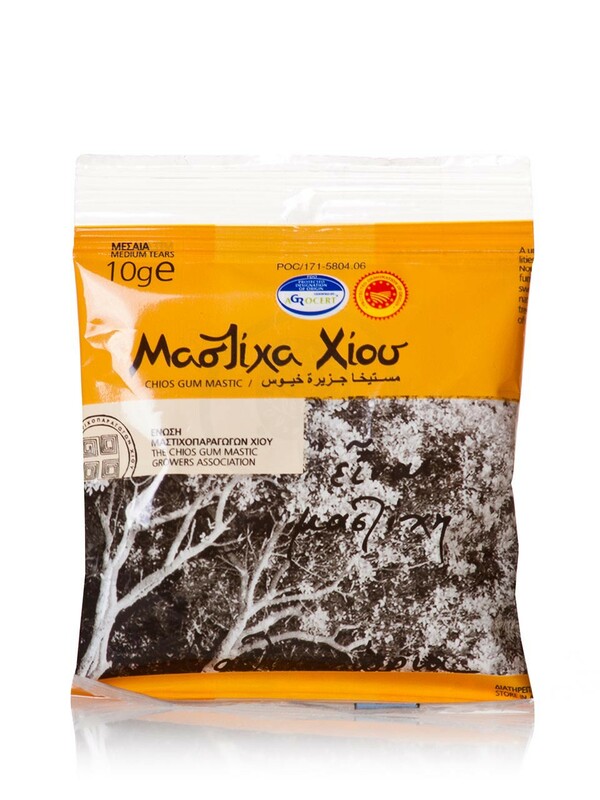 Chios Mastiha is the natural resin that is excreted from the trunk and branches of the plant "schinos" - the Greek name for the mastiha tree. This product is unique in the world, because mastiha-yielding trees flourish only in a specific region of the island, the so-called Mastiha villages. By incising the bark with a sharp pointed instrument, mastiha appears in the incision in the form of tears and exudes in droplets onto the soil. While it is flowing, it is a gummy, transparent liquid, but in 15 days it solidifies in irregular shapes. This product is unique in the world, because mastiha-yielding trees flourish only in a specific region of the island, the so-called Mastiha villages. Chios Mastiha has been identified as PDO (Protected Designation of Origin) in order to protect its unique place of origin. It is used in cooking, confectionery, beverage making, pharmaceutics and cosmetology. Its numerous beneficial properties for the human body makes it invaluable. 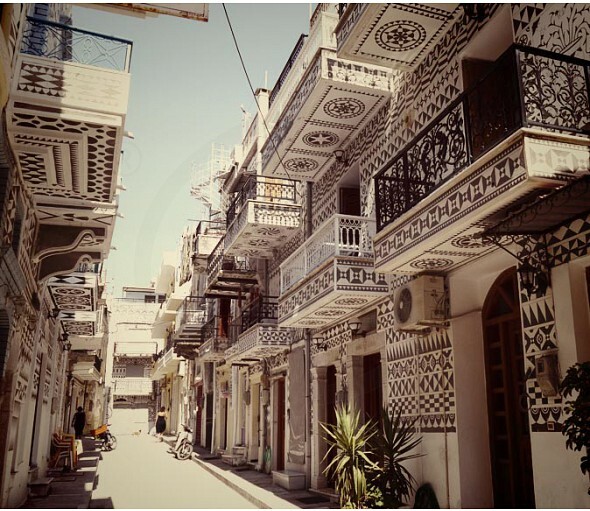 Chios belongs to the group of islands of the northern Aegean. 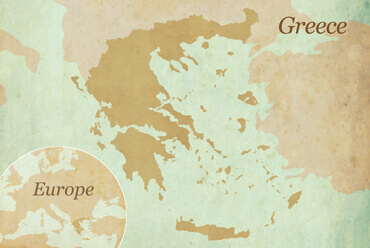 It is the fifth largest Greek island and it is characterized by its long history dating back to the Neolithic era. The island originally enjoyed great naval and economic power, right up to its conquest and destruction by the Persians in 493 BC. After that, it gradually regained its autonomy and independence until the invasion of the island by the Romans and finally its complete destruction by powerful earthquakes. The reorganization of the island started again in the 11th century. In 1204 it passed into the hands of Constantinople (Istanbul), then to the Genoese and after that, to the Turks until 1822, when the legendary massacre of Chios by the Turks took place and finally to the liberation of the island in 1912. Today, Chios is an important travel and culinary destination, proud of its splendid pebbly and sandy beaches, the traditional settlements, the Byzantine churches, the monasteries, the stone mansions and the narrow alleys winding through its medieval villages. The wonderful gardens in Chios, filled with citrus fruit trees, the crops, the thyme, the lentisk and the fragrant mastiha, all give a sense of peace, tranquillity, elegance and authenticity to this island.Chios is a magnificent island blessed by Nature. It has an illustrious historical past and an equally celebrated culinary tradition. But, above all, Chios is known worldwide for mastiha, a unique natural product exclusive to the island. Mastiha gave its name to a number of medieval settlements in southern Chios which are known as Mastihohoria. The settlements were established in Byzantine times and, despite the ravages of Time, they are still considered monuments of cultural heritage. 100% natural Mastiha in medium pieces, from the well-known Chios island!